Opposites in Golf – Portrayed in Poetry as Opposed to Prose, my new book, includes 32 poems about opposites in golf. It’s available on Amazon for $4.50 and makes a unique present for golfers with a sense of humor. They can also be chopped from a tree. That are counted most carefully. We let them fall where they may. It’s clear which chip is which. It has got to be a pitch! That wouldn’t crack a putter’s dome. Then I would say there is a catch. The opposite of away is last. The poetry is simple, funny and wise and turns the language of golf on its head. It’s meant for golf enthusiasts looking for a different but rewarding and unique golf-related experience. Just the antidote for a bad shot or a bad round. The book is small enough to stick in a golf bag, but smart enough not to be left there. Opposites in Golf is now available on Amazon, Amazon in the United Kingdom, Amazon France, and other European countries. It sells for $4.50. Please take a look for the fun of it. “Moir Tod Stormonth Darling (Lord Stormonth Darling, 3 November 1844 – 2 June 1912) was a Scottish politician and judge. He was Member of Parliament for Edinburgh and St Andrews Universities from 1888 to 1890 and served as Solicitor General for Scotland during the same period. 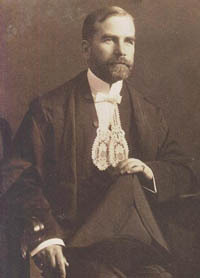 From 1890 to 1908 he was a Lord of Session. In 1897 he was President of the Edinburgh Sir Walter Scott Club and gave the Toast to Sir Walter at the club’s annual dinner. If we must be Duffers yet? When we part as Duffers yet. And ourselves be Duffers yet. Must it ever then be thus? Eye on ball or club in hand? To retain us Duffers yet? *This first appeared, without the third verse, in Edinburgh Courant in 1869, and was respectfully dedicated to the Honourable Company of Edinburgh Golfers. As the note says, the poem was published in 1869. Yet the sentiments expressed, particularly in the last stanza, are ours as well – at least on occasion. The game has surely changed since 1869, but the emotions remain the same. Amazing! A Poetic Response to the Question: What is Golf? or sinking a long tricky putt. Filed Under: Ebook: If Only I Could Play That Hole Again, golf, golf humor, golf poetry, golf poetry books, humor, poetry Tagged With: golf, golf humor, golf poetry, golf poetry books, humor, poetry, rhymes, sports poetry, The eBook "If Only I Could Play That Hole Again"
My apologies for being slow to put out a new post. I have been battling the flu for a while (even though I dutifully got my flu-shot last October). I am finally starting the feel better and put together what is now my annual four-liner bemoaning Winter. Nothing new, just another observation on what separates golfers who are warmer and from those who are colder at this time of year. 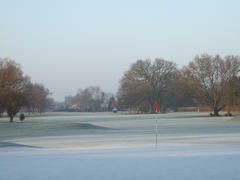 Of little use on a snow-covered course. Also next year, if I can figure out how to do it, we will be reciting some poetry together. In this way I hope to encourage you to read poetry out loud. Finally, I would like to wish my readers from over 120 countries a very happy holiday season and lower scores next year. Thank you for coming back to read golf poetry from time to time. 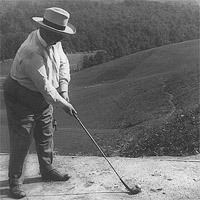 There are more than 160 poems about golf on the pages of this Blog. When you have time explore a little using search words. The top 10 are fine, but there’s a lot more. Filed Under: golf, Golf Course of Rhymes, golf humor, golf poetry, golf poetry books, humor, poetry, sports poetry, The book "Golf Course of Rhymes" Tagged With: golf, Golf Course of Rhymes, golf history, golf humor, golf poetry, golf poetry books, humor, poetry, rhymes, sports poetry, The book "Golf Course of Rhymes"